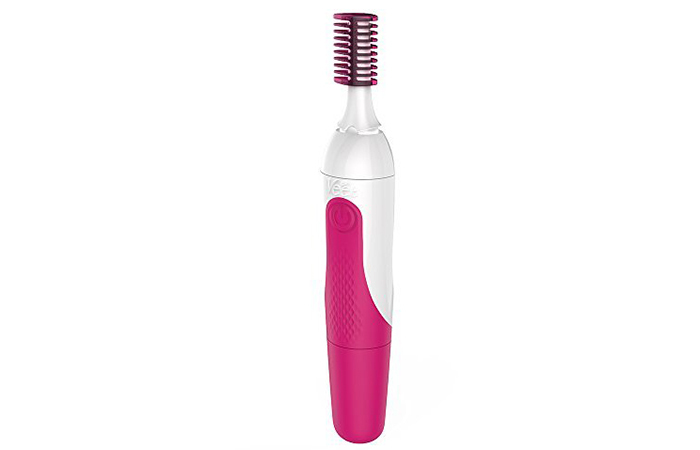 This electric trimmer from Veet is designed to remove hair from the sensitive areas on your face and body. It is a great pick for grooming your brows because of its high-precision blades and adjustable eyebrow head. 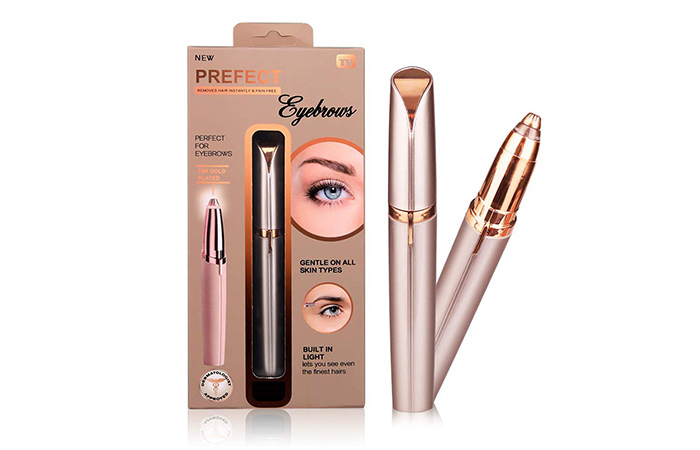 Its design is sleek and compact, making it very handy for quick touch-ups and brow contouring. 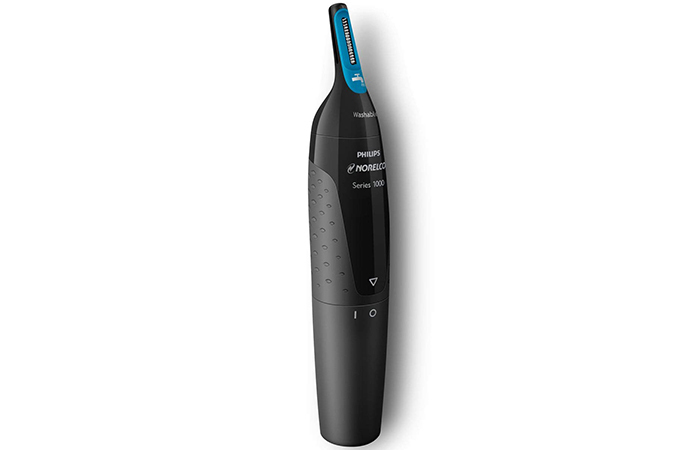 This trimmer by Panasonic is a quick and easy solution to get rid of unwanted facial hair. 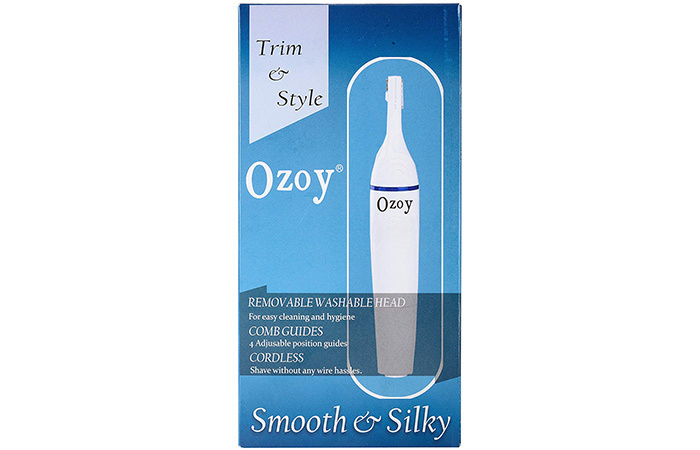 Its smooth-pivoting head glides smoothly along the natural contours of your face for a close and comfortable trimming experience. Its design is sleek and stylish. It fits in your hand and is super easy to use while you’re on the move. Philips Norelco Trimmer is perfectly angled to remove hair efficiently from tricky, hard-to-reach areas. If you are worried about nicks and cuts, stop right there because this device shields the blades from your skin and gives you the gentlest trim. Want to achieve a detailed and precise trim? 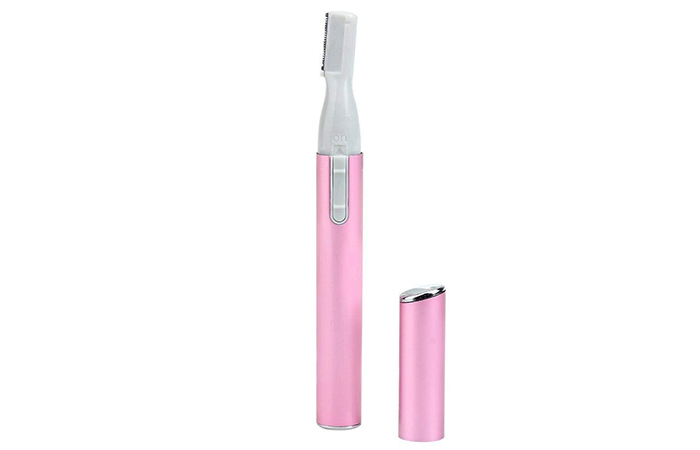 If so, this electric trimmer is ideal for the sensitive areas of your face and body. It comes with four heads: a bikini head, a beauty cap, two combs, and a cleaning brush. It ensures a painless trim and is great for quick touch-ups. 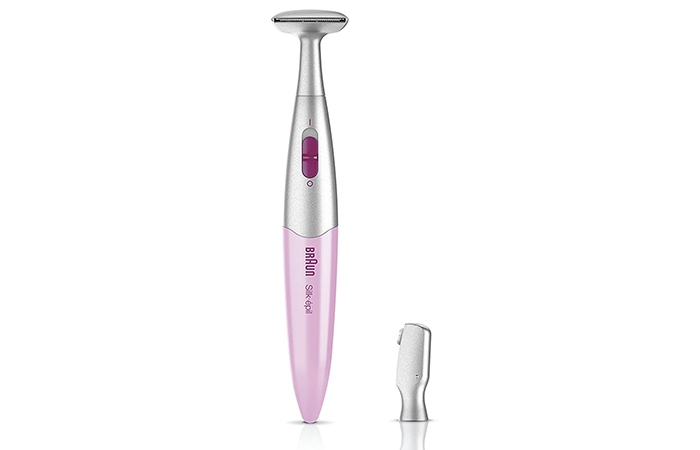 Braun Silk-épil is a high-precision trimmer that is perfect for styling your eyebrows and trimming the hair on your bikini line. It comes with a high-precision head, a slim head for eyebrow shaping, and two trimming combs. 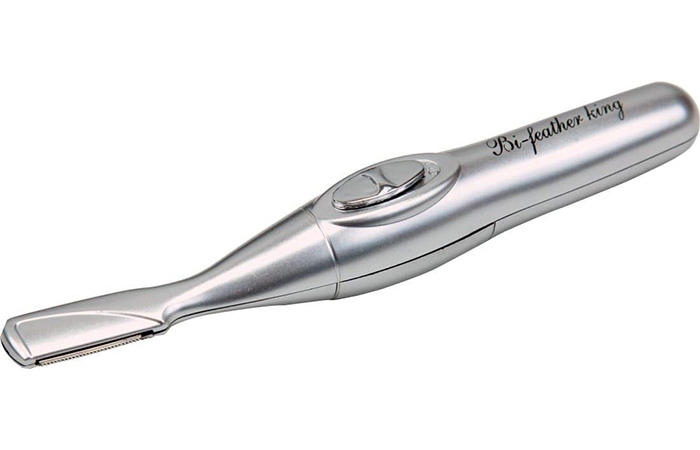 This trimmer removes facial hair instantly and painlessly from your eyebrows, upper lip, chin, and cheeks. It is gentle enough to use on a regular basis. Say goodbye to irritation, redness, and cuts with this portable device. 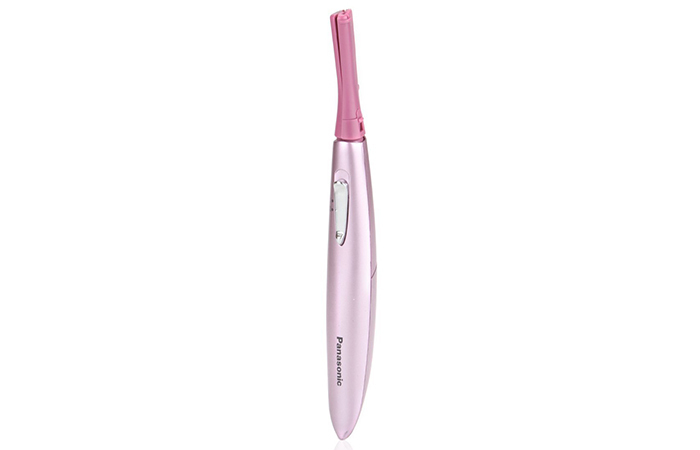 Lumony Bi-Feather King Eyebrow Trimmer removes hair painlessly any time, anywhere. This sleek device helps you achieve perfect results on your brows, bikini line, sideburns, hairline, and armpits. 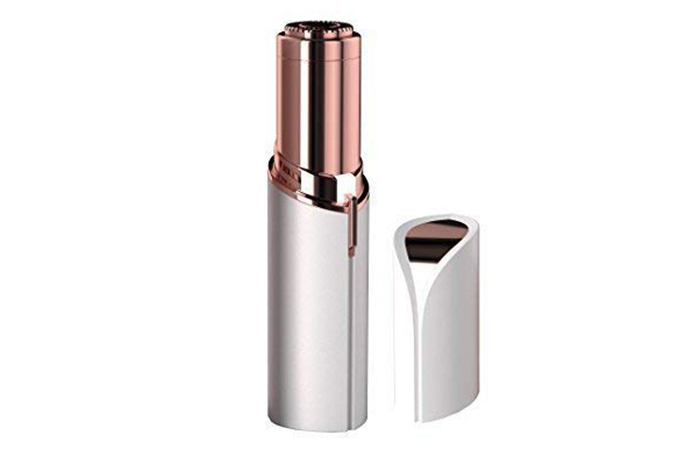 Its long handle makes it convenient to use on the hard-to-reach areas of your face and body. If you are a beginner at trimming facial and body hair, these razors from Tinkle are your best bet. They come in a pack of three and are very pocket-friendly. 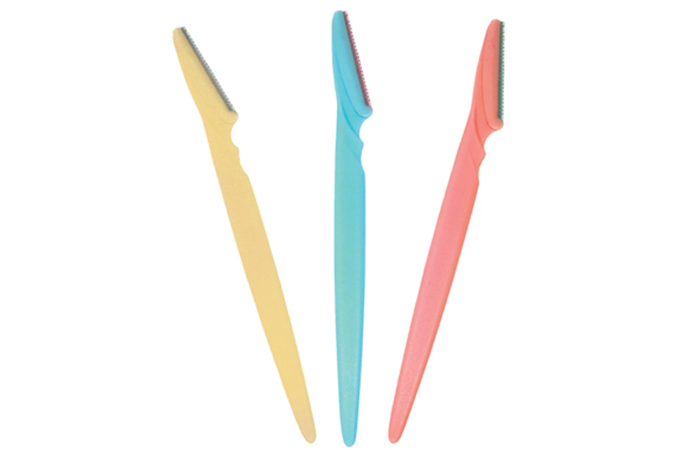 Their long plastic handles give you a lot of control and their steel blades gently remove the fine hair on your brows, face, and neck. Maxed Magic Groomer gently removes unwanted hair from your face, neck, and other sensitive areas. Its sleek and compact design makes it easy to use and carry around in your handbag. It runs on a single AAA battery and comes with an eyebrow shaver, a comb, and a brush. This beauty trimmer by Syska is designed explicitly for precise eyebrow and facial hair removal. It comes with a bikini trimmer, a comb, and a washable head for easy cleaning. 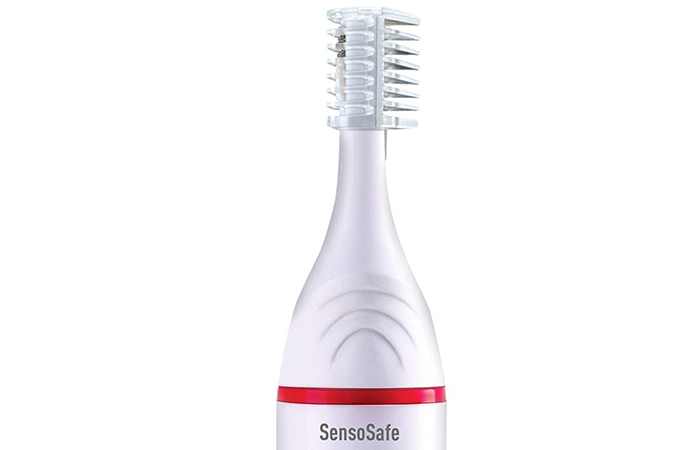 It fits in your hand as comfortably as an electric toothbrush. Nova Sensitive Touch Trimmer is ideal for regular use. Its cutting blades do not touch your skin, so there’s no chance of cutting yourself. 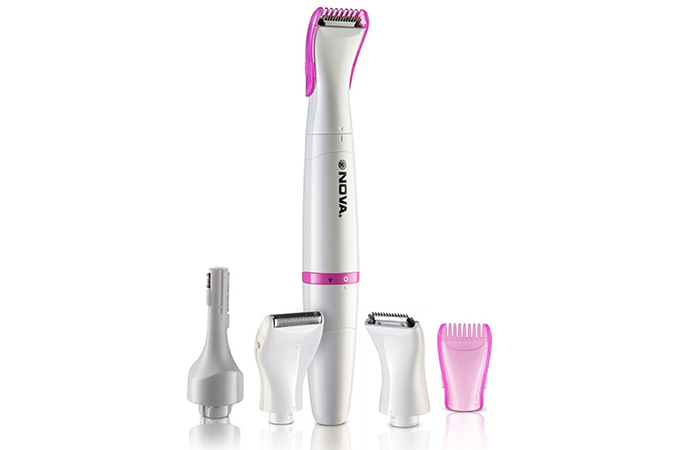 It comes with dedicated accessories to help you achieve precise styling and shaping. This brow trimmer is an ideal daily maintenance and clean-up tool that can be used in between your regular eyebrow waxing/threading appointments. It is a great pain-free alternative for removing excess hair if you don’t want to wax or thread. Your eyebrows are undeniably one of the most important features of your face. The right brow shape not only frames and flatters your eyes, but it also helps enhance all of your facial features. We’re talking about that clean, put-together look that everyone wants. It’s a tad impractical to make a quick run to the salon every time your brows need some grooming. That’s why learning how to trim your eyebrows and investing in a brow trimmer goes a long way in looking sharp at all times. Depending on the brand, eyebrow trimmers can cost you anywhere between Rs.300 and Rs.2000. High-end brands like Braun and Philips are usually more expensive. Panasonic falls in the mid-range category. 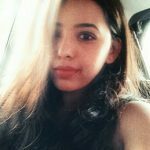 There is an abundance of budget-friendly options that you can purchase online. However, they usually don’t come with a warranty. 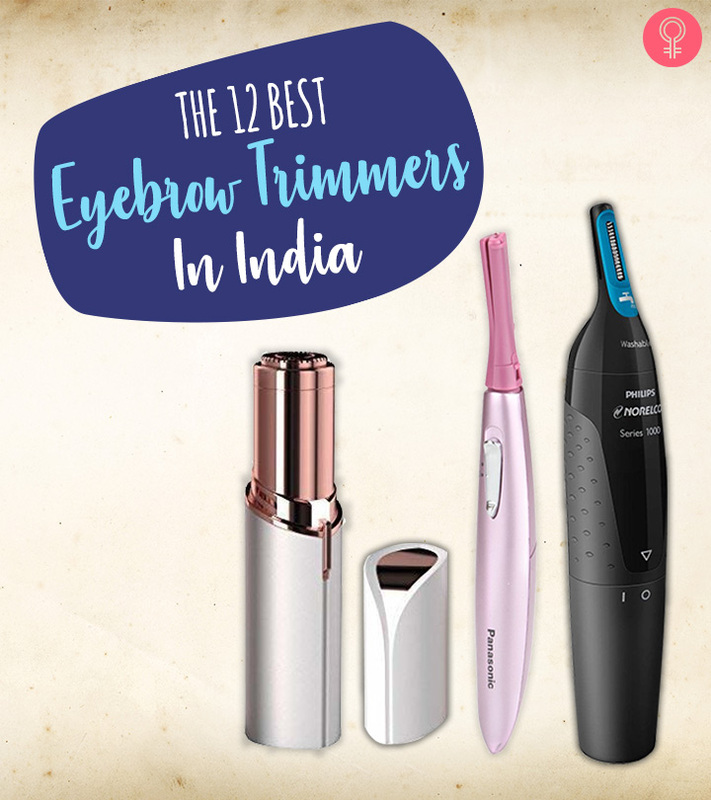 That was our round-up of the 12 best eyebrow trimmers available in India. You don’t have to worry about making impromptu runs to the salon every time your arch is over all the place. Besides, those tiny furry tumbleweeds that grow around your brows need to be trimmed instead of plucked. Which one of these eyebrow trimmers are you looking forward to trying? Comment below to let us know. Are electric trimmers safe to use? Yes, electric trimmers are safe to use for a lot of reasons (even though it goes against everything your mother told you). There is a lesser chance of ending up with cuts or nicks. Also, if you’re someone with sensitive skin and can’t deal with waxing or threading, using a trimmer is a safe and sensible option. 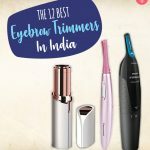 What should I consider before purchasing an eyebrow trimmer? Before you make your purchase, you can take a lot of factors into consideration. It is best to pick a trimmer that fits in your hand and is easy to maneuver. You can also choose between a rechargeable one and a battery-operated device. If you want something with a bunch of accessories, choose one that comes with various cutting heads. Some trimmers are waterproof and come with a built-in spotlight to give you a better view of the landscape. Finally, chalking out your budget will help you get the best trimmer in that price range.